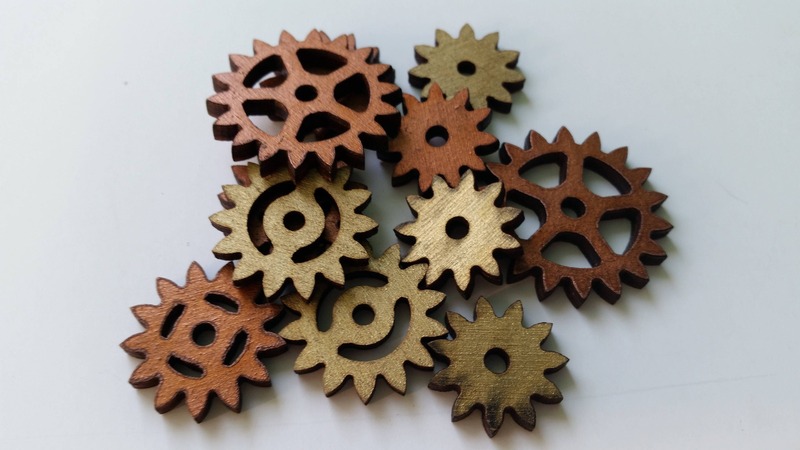 This is a selection of 10 random wooden gears. 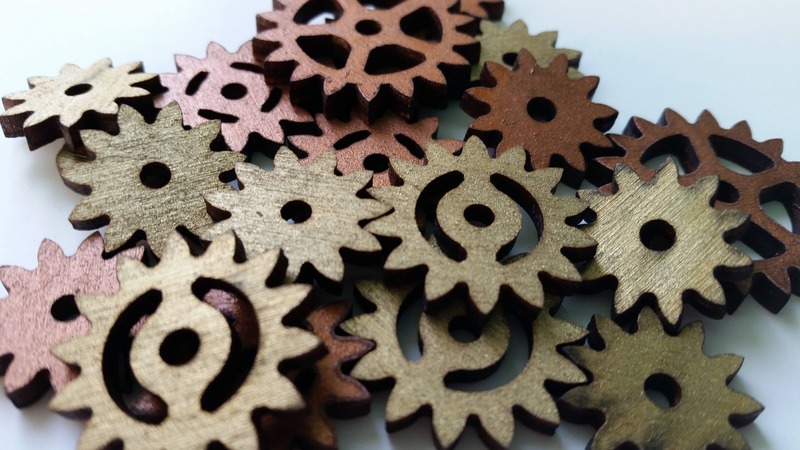 These gears range in size but are all geared to one another so can function as actual moving gears if desired. 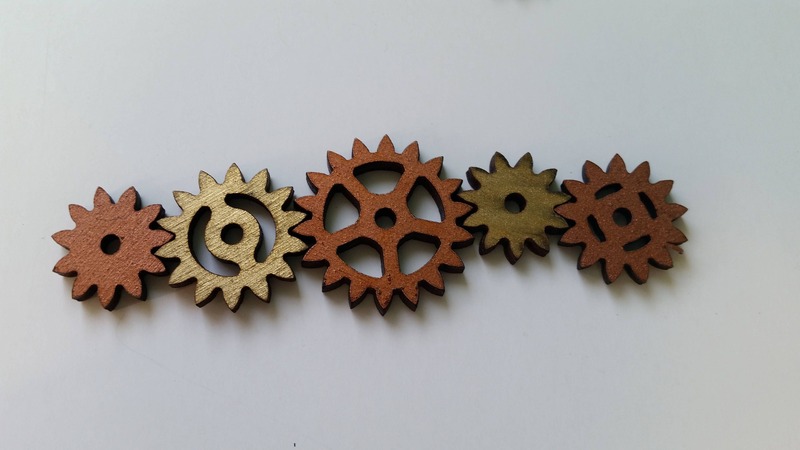 Made from 1/8th inch wood these gears are relatively sturdy, but will crack under moderate torque. 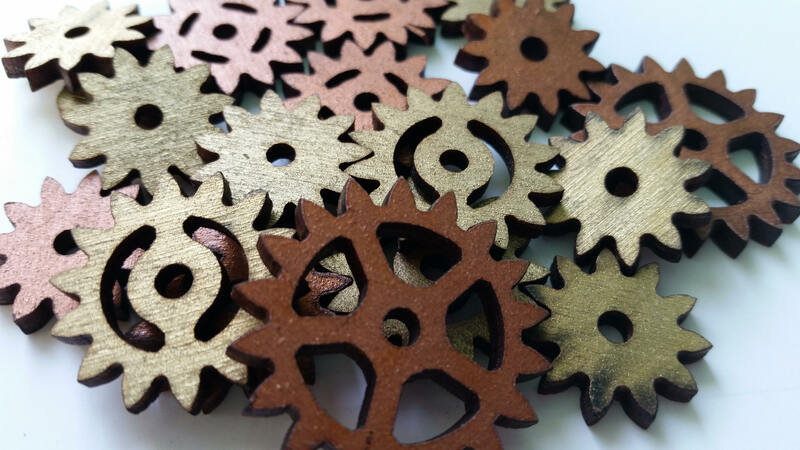 These gears are dyed in either copper, gold, or brass tones. 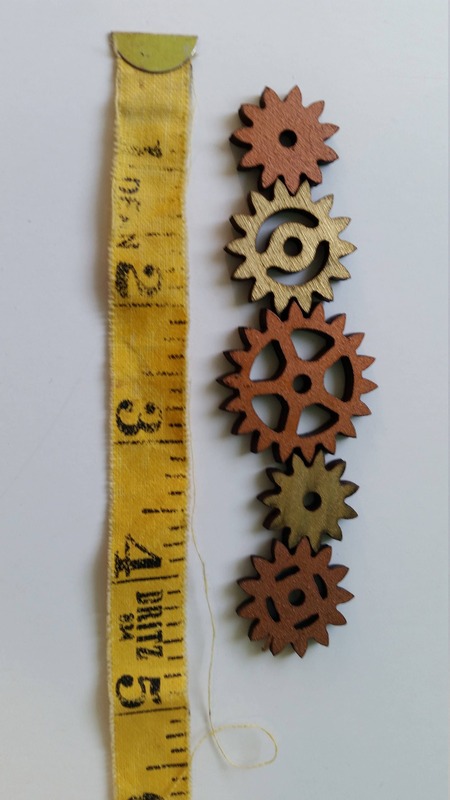 These are laser cut so some darkening of the edges may be present. Shipping cost includes handling and material fees. We use USPS for both international and domestic shipping unless there is a faster way to get the product to you. International shipments may take longer to reach you as customs can take a while to process. We try hard to receive tracking numbers for our shipments, but often times in an attempt to keep shipping costs low we may not have a tracking number for smaller items. These are great! I'm using them as the actual working gears in a small lightweight project I'm working on. Also, they just look so darn cool.